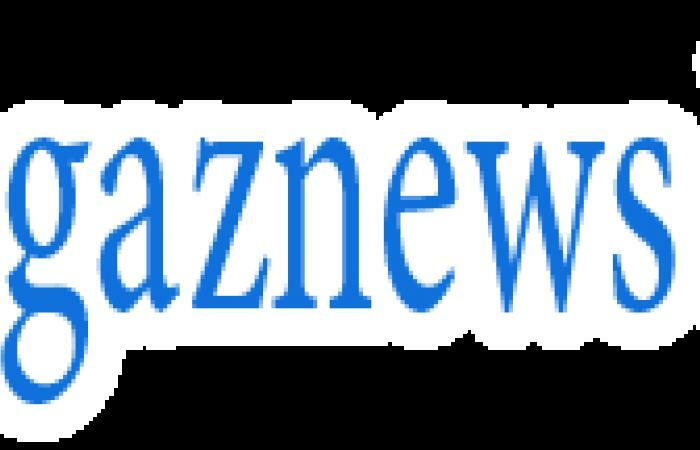 With Newcastle United's Rob Lee streaking away to score and almost certainly end Manchester United's Premier League title chances, Ole Gunnar Solskjaer made a lung-busting run and a split-second decision. Allow Lee to score past Raimond van der Gouw and see United's championship chances go up in smoke or take him out, swallow the red card but allow United to gain a potentially crucial point? Solskjaer chose the second option, was dismissed by Uriah Rennie and walked off to a standing ovation from the Old Trafford crowd for his selflessness. Trouble was, United still didn't win the title as Arsenal stormed back to steal their crown, and Alex Ferguson gave the Norwegian the infamous hairdryer treatment and a fine. 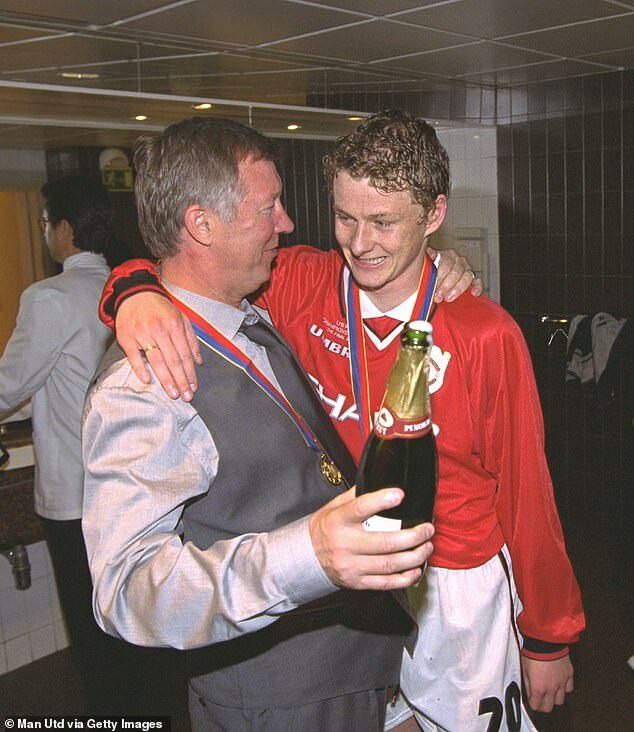 'I was applauded off but I wasn't applauded by the gaffer,' Solskjaer later recalled to FourFourTwo. 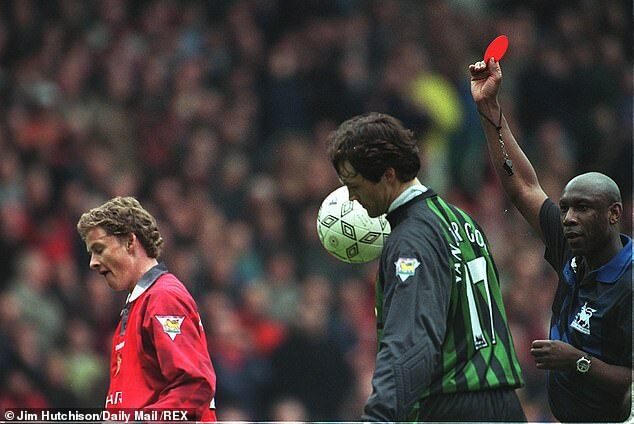 'He laid down the law with me and said: 'At Manchester United we never win that way; we win by fair play.' It was an eye-opener for me. And as Solskjaer, United's interim manager, attempts to slowly but surely restore Ferguson's guiding principles to an underachieving team, it's Newcastle who provide the next obstacle. 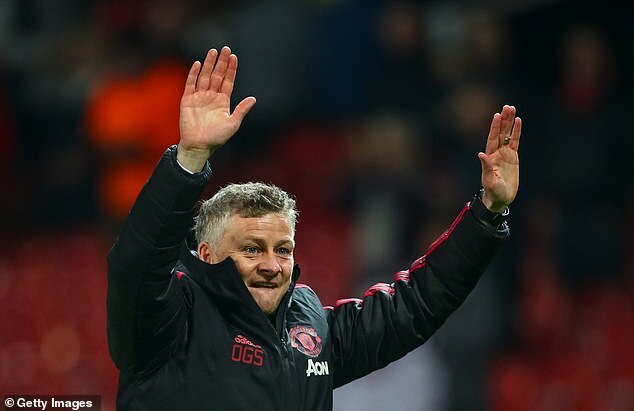 Solskjaer, whose three wins from three games in caretaker charge have been achieved with plenty of panache, takes his team to St James' Park in the Premier League on Wednesday night. And his previous meetings with Newcastle have been, on the whole, pretty eventful. 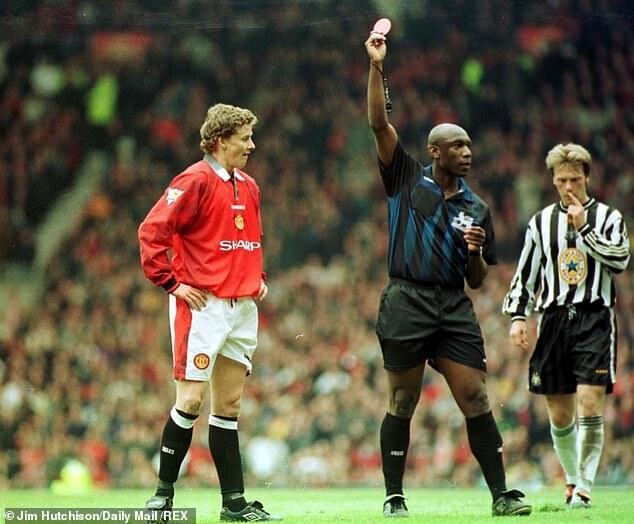 If Solskjaer's red card in 1998 was bad, then his first encounter with the Geordies after signing for United from Molde in the summer of 1996 was downright ugly. The 5-0 mauling Ferguson's team were handed by their chief title rivals in October 1996 went down in Premier League folklore and would certainly have been an eye-opener for the young Norwegian.